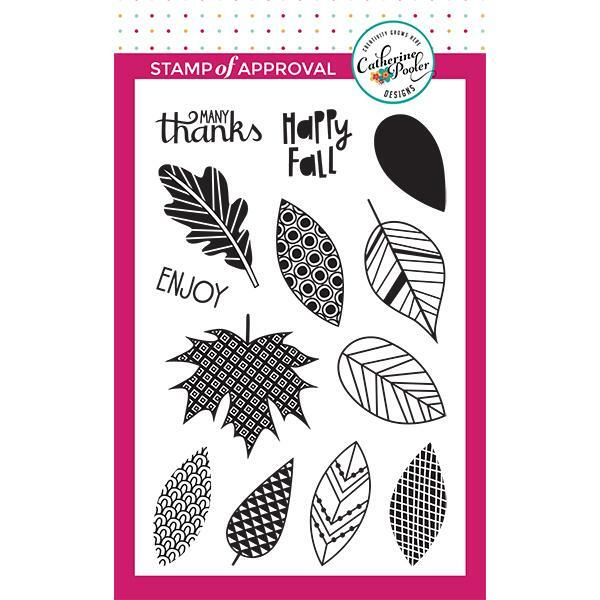 The Leaf Motifs stamp set by Catherine Pooler Designs is full of fun leaf images to decorate your cards, no matter what time of year it is! The leaves are in a graphic pattern to catch the eye. Perfect for all your card making, scrapbook layouts and art journal pages. Catherine Pooler Designs clear stamps are made from high quality photopolymer in the USA.